Trevor Spohr completed a Diplom of Visual Arts in the late 80s at the Queensland College of Art in Brisbane with a major in Ceramics, he travelled to Europe visiting and working in studio potteries mainly in Switzerland and Germany after 2 years Trevor returned to Australia and opened a studio pottery and retail outlet on the Sunshine Coast Queensland he operated this for 10 years and then accepted a teaching position at the Wide Bay Institute of TAFE in Hervey Bay, Trevor remained in this position for 9 years. Currently employed by the Fraser Coast Regional Council as Senior Arts Development coordinator he manages an Arts facility for local and visiting artists. 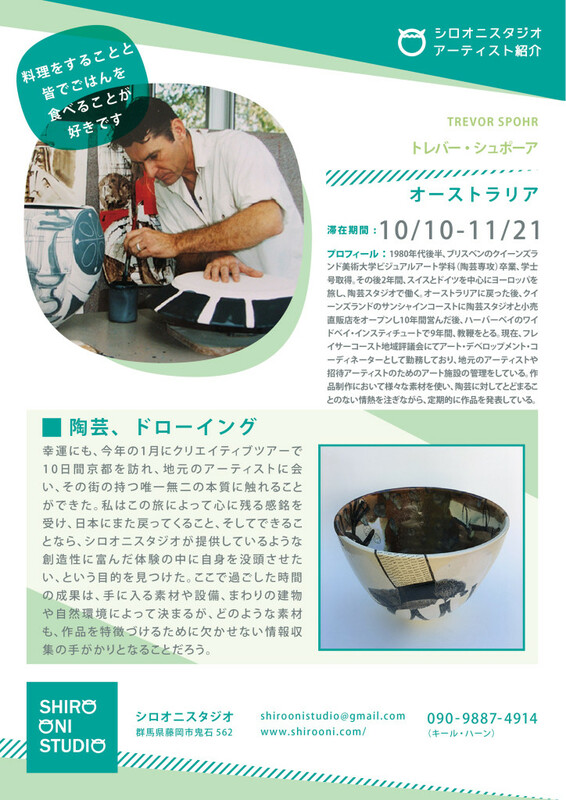 Trevor works in a variety of mediums and has an ongoing passion for ceramics, he exhibits on a regular basis.